I have a cheese plant, approximately 3 years old. I'm pretty sure it needs repotting as one of the leaves is starting to turn yellow at the edges, but otherwise looks healthy. What time of year is best to replant it? Should I do it when it's starting to grow again in the spring or in the summer when it's been growing for a while? 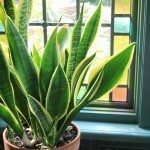 With almost all houseplants, it is best to repot while they are dormant in the fall and winter. They are less susceptible to transplant shock if they are repotted when not actively growing.